Lollipops and various types of caramel sweets are a favorite treat for children and adults, which has not lost popularity for many years. 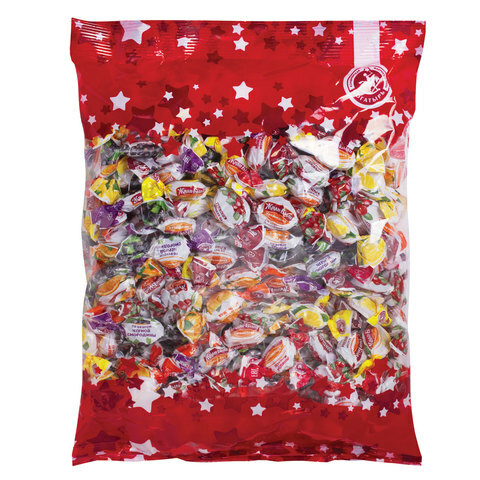 Traditionally, for packing of caramel, bags from polymeric films (pillow bag, stabilo bag or stable bag) are used, in which the product can be easily packaged using vertical packaging machines. organize production logistics and automate the collection of products from technological equipment.